After our lunch at Khmer's Family Restaurant, we had wanted to visit the Cambodian Cultural Village in Siem Reap. 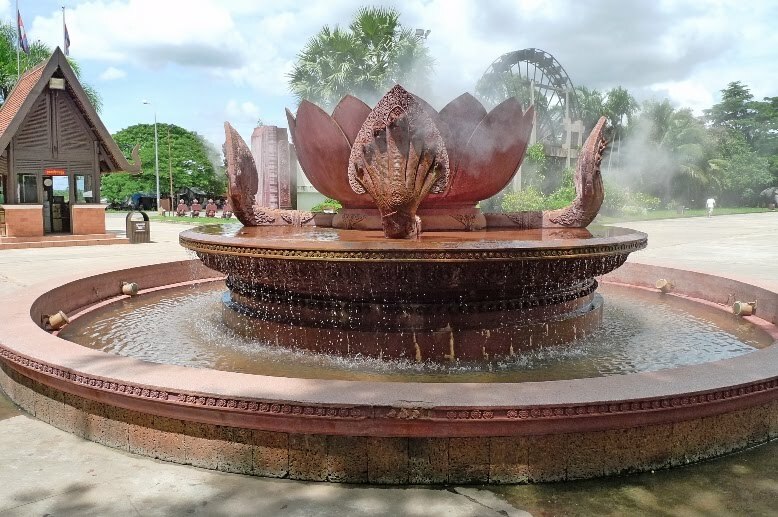 The Cambodian Cultural Village is like a theme park and museum showcasing miniature versions of important historical buildings and structures, local cultures and villages. There are also souvenir shops, massage services and restaurants in this cultural village. However, Jam, his friend and I ended up not entering the place even though our driver had brought us right to its doorstep. Either we were tired from visiting all the temples in the hot weather and needed a rest or the expensive entrance fee of USD33 put us off. Or both. 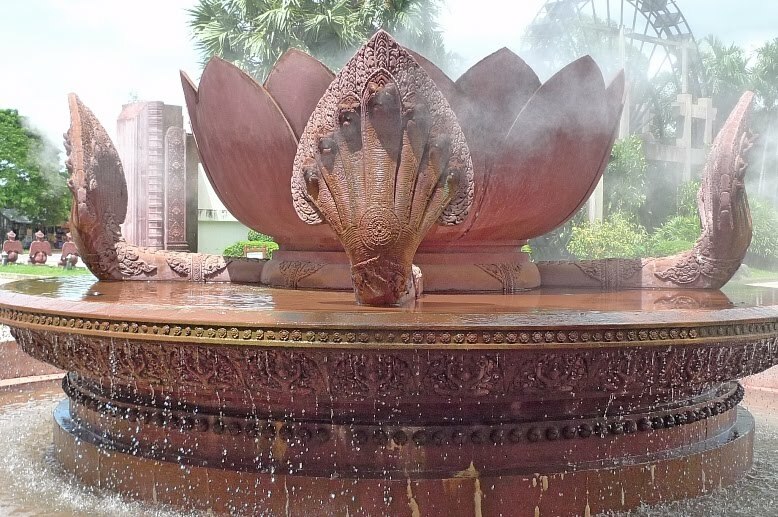 I quite like the beautiful fountain with the lotus flower and the naga (7-headed serpent) in front of the entrance and ticket booth. I would have taken more pictures had we visited this Cambodian Cultural Village. Oh well, maybe next time. If you like more details, you can check out the website HERE. Honestly, I do not know how come the entrance fee was USD33 when we were there last year as the website stated the entrance fee as only USD11! Any Cambodians can clarify this please? Anyway, we returned to our hotel, showered and slept before waking up in the evening for dinner. It would seemed as if we wasted the whole afternoon right? But I thought sleeping in the air conditioned hotel room was rather enjoyable! No regrets there! Haha!! 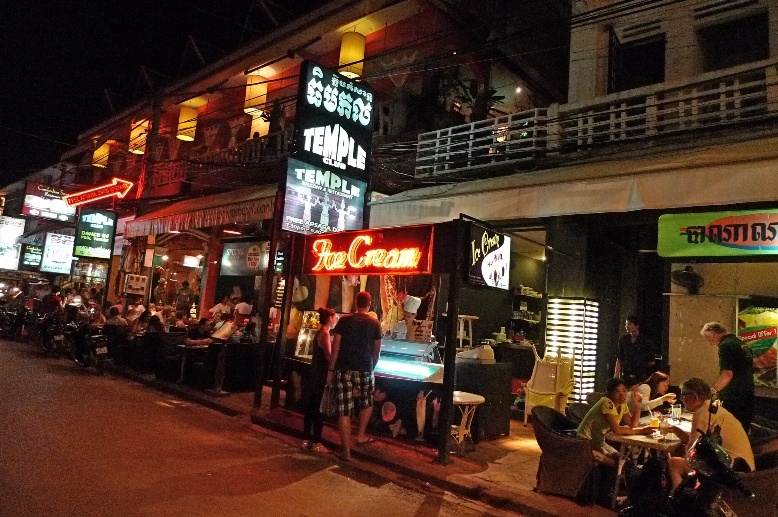 We decided to have dinner at Temple Club located along Pub Street. The Temple Club was a rather happening place. Many Western tourists like to hang out here and it was even recommended by The Lonely Planet. 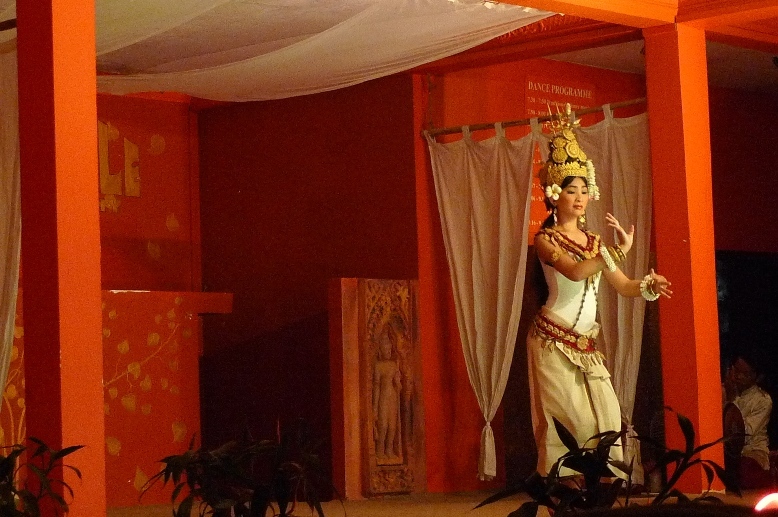 But the reason we chose Temple Club was because it offers free Apsara Dance performances every night starting at 7.30pm. 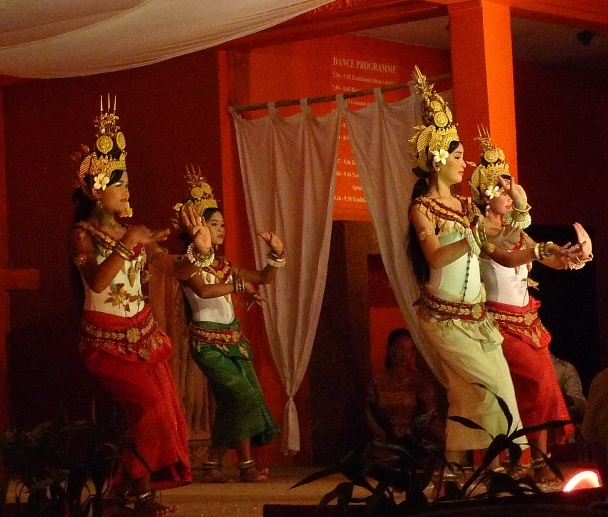 Apsara Dance is a Khmer traditional dance. 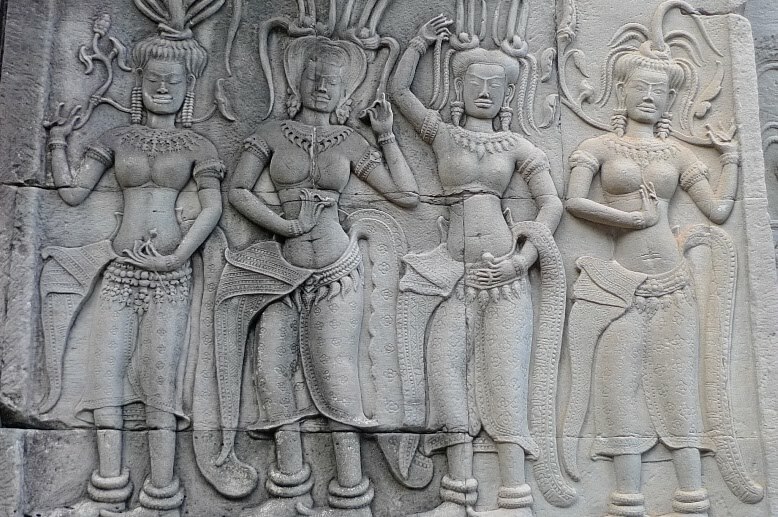 After seeing all those Apsara carvings in the Angkorian temples, I did not want to miss this dance which form an integral part of Cambodian culture. The food at The Temple Club was nothing much to shout about so I am not going to share about it here. I wouldn't say it was bad - just pretty average. Still, I enjoyed watching the dances while having my dinner. Before the dancers came out, we were entertained with some traditional Cambodian music performed by the small orchestra next to the stage. Then a beautiful girl dressed in traditional dress came on stage. Minutes later, a few more female dancers joined her. Somehow I felt their dances were quite similar to Thai traditional dance. I do not know how to describe the Apsara Dance - it would be best if you watch it on this YouTube video which I found online. It may not be the best Apsara Dance performance you could find in Cambodia, but I was glad I managed to catch it for free during my stay in Siem Reap.